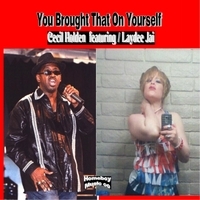 His fans remember him as Cecil"Homeboy" Lyde and artist whose musical talent has been unmistakable since he was three years old. At the age of ten, after winning a talent contest at the Club Delisa, Chicago's celebrated night spot, he was offered contracts by several major recording companies. Cecil began to work with many of the Chicago' great musical talents of the time. Curtis Mayfield, The Chi-Lites, Gene "Duke of Earl" Chandler, Major Lance and Barbara Aklin were among his early mucical mentors. "I knew when I was very young that I was put on this earth to share the talent God gave me". The Capitol records release of his regional hit Experience II, "Bout time I Told You" convinced Cecil a move to the west coast was necessary to take the next step. In the 1980's he embarked upon a solo career, refining his studio know-how along with is ever-increasing musical out put. 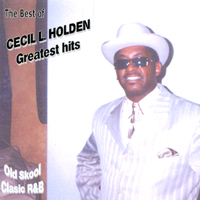 Utilizing the genius of many of Chicago's and L.A.'s finest sessions player, over the next thirty years, Cecil produced and recorded six classic R&B albums. The rise of the internet has sparked worldwide airplay and over due appreciation for his brilliance. Audiences and aficionados from Beijing to Great Britain have discovered his unique style and made him a favorite internet radio artist. His earlier albums now are highly prized by collectors. Greatest Hits/Old Skool Classics for the first time combines all the best of Cecil's work, including the European dance smash hit "I'll Make It On My Own" as well as vintage material, some not available since its initial release. 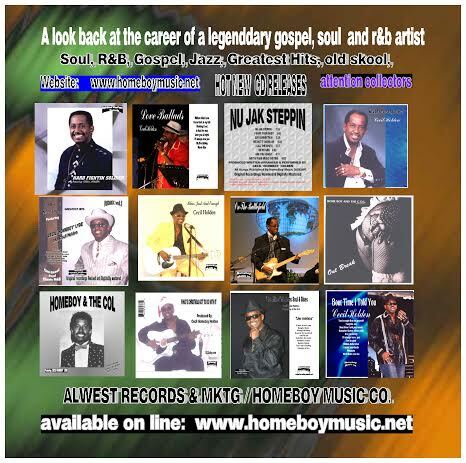 His Group Homeboy & the Col is a classic original funk and r&b delight. Take a look back at the the career of a legendary R&B artist. 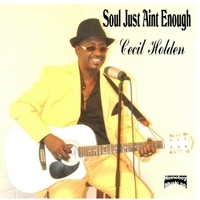 It is a pleasure to introduce CECIL HOLDEN , Music Icon, International Recording Artist and song writer of R&B, Soul, NeoSoul, R&B, Funk, Pop, Hiphop, Jazz,Gospel, Urban, Traditional and contemporary music. FOR A LIMITED TIME NEW SUBSCRIBERS CAN RECEIVE A FREE MUSIC SELECTION FROM HOMEBOY MUSIC. Have an event that you want Homeboy Music to perform just book your initial consultation. We want to ensure you have a great musical experience. Have an need for Homeboy Music or Media services? Set up your initial consultation. Homeboy Music will sharing music and event gifts just for you.